This property is recorded to have been owned by: George Nichol – Barber, George Hopton- Milkman; Lorenzo Stock – Butcher and Samuel Clark – Grocer. 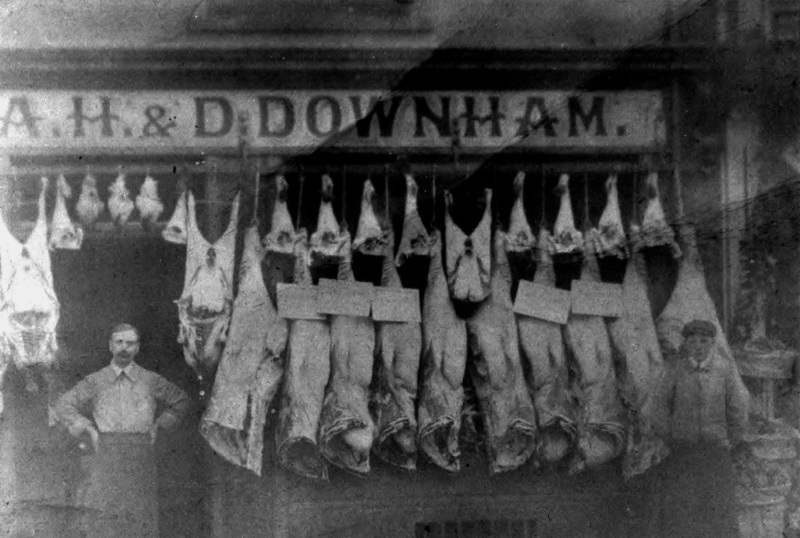 By 1904 two brothers, Arthur and Daniel Downham had established their butcher shop here. They were to be here for 65 years. Arthur Hathaway Downham was born about 1869 in Tewkesbury, soon after his birth his family moved to Worcestershire where his brother Daniel was born. When Arthur was 12 he came to live in Cheltenham and was apprentice to the meat trade. The two brothers bought the shop in Bath Road and it became the home of Arthur, his wife and two daughters. Daniel and his wife and family lived in Leckhampton. The business remained in the name of the two brothers until shortly before the start of the Second World War. Despite being heavy work, handling huge carcasses etc, Arthur’s daughter Margaret assisted her father in the shop and after his death continued on her own. The meat was cut up on a large wooden chopping board, it was cleaned by the end of the day by covering it with sawdust and then brushed off when it had absorbed all of the blood. When Arthur died in 1953 aged 85, he had been a butcher for over 70 years, only retiring a few months before his death. His daughter Margaret retired in the late 1960s, after which the shop was sold. For much of the next 20 years, the shop was the antique and second hand shop called The Square Deal Shop and they were followed by Dallimores Gift Shop and in 1996 Donovans Ladies Hairdressers. 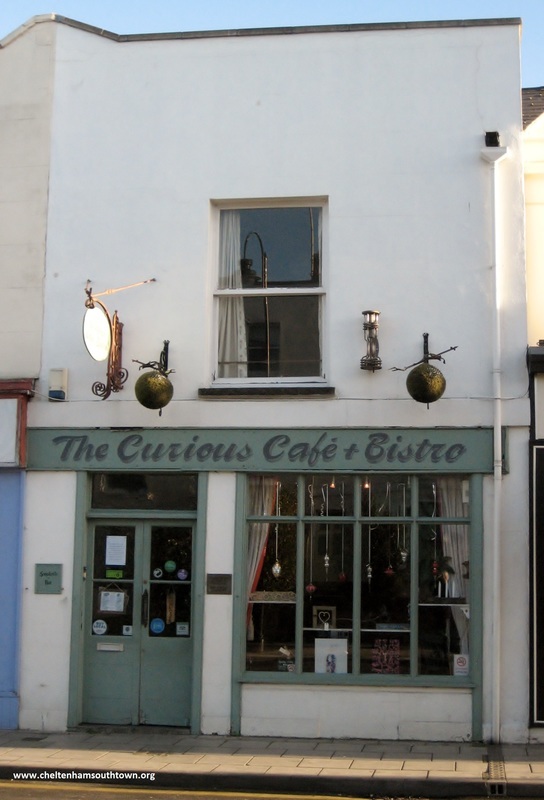 Since the spring of 1997, this has been a cafe first called The Curious Tea Shop. It was opened march 24th and serves teas, snacks and light lunches. During the summer of that year, the garden was made into an outdoor eating area and in 1999 the name changed to The Curious Café.